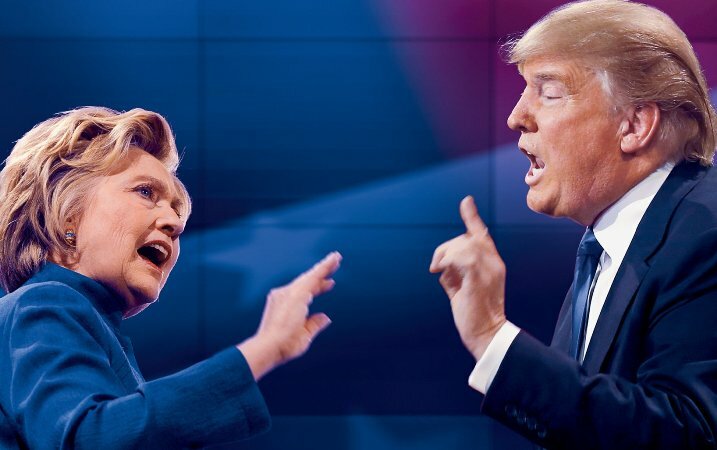 Democrat Hillary Clinton and her Republican White House rival Donald Trump went head-to-head on Monday night in a prime-time duel in front of tens of millions of American voters. "I know you live in your own reality, but those are not the facts," Clinton said, after Trump took her to task over her support for the Trans-Pacific Partnership trade deal. "I want to help all of our allies, but we are losing billions and billions of dollars. We cannot be the policeman of the world, we cannot protect countries all over the world, where they're not paying us what we need" - Trump, reasserting criticism of long-standing US alliances. "You look at the Middle East, it's a total mess, under your direction, to a large extent." Clinton: "Well at least I have a plan to fight ISIS." Trump: "No, no, you're telling the enemy everything you want to do." Trump: "You're telling the enemy everything you want to do. No wonder you've been fighting ISIS your entire adult life."